Musical Recommendations: Michael Gira has been pushing the boundaries of what and how music is made, perceived and presented for years. He is definitely an artist that deserves attention. JG Thirlwell is another artist that never ceases to amaze me. Never mind that I have and do work for and with both of them. I started to become serious about my solo music in 2009. I was plugging in all of my accumulated effects boxes and amps to see if the guitar would play itself. Setting up a chain of amps and effects, I would strum a chord and walk away, sit on the couch and listen to where it would go. Kind of like watching different strings of blinking lights to wait for them to all light, or be off. Through these experiments, I whittled down the chain to a more manageable group. With that, it became easier to control what was coming out. A friend gave me some music by 'Stars of the Lid', I was not alone. I am still working on my musical language as far as my solo guitar music is concerned. It is always a work in progress. I come up with new 'words' which later become 'phrases' that further become 'sentences'. I have never been very interested in working out what other people play, zero interest in being a bar-band guitarist. Early on, while playing along with records, (ok, I have worked on some cover songs) I made the leap to thinking about playing along with the song, rather than playing the song. My logic was that someone else already played a good version, what would I have to offer. Why not get technically proficient enough to go where the music leads me? The main issue was more along the lines of figuring out what pleased me about my solo music. I knew that I was not going for a volume thing, quiet with dynamics was always my main goal. I am still working on my patience. I am looking to emulate the ocean, or breeze, slowly shifting. Getting closer to it all of the time. Ha, my studio is any room available to set up in my NYC apartment. I record stereo to a two track tape recorder. Then, transfer it to the computer. I would like to have a space where I could set up a more extensive and permanent recording set up, some day. My instrument is the guitar. No matter what my solo music sounds like, it is still just a guy with a guitar. I will be working on bringing in some other sounds as my recording process evolves. The main effect is delay on top of delay. I have started to bring in loops, which are created at the moment, to thicken and confuse some sections of my performance. Right now, all of my compositions are based on improvisation. I play and play, then play some more. When I get to a point where I have a flow, the record button is pushed. There may be a new idea for an effect, different place in the chain, or setting, or introduction. I have always made it a point to not listen to music that may come too close to the music that I am involved with. More so with my solo work. There will always be similarities within any genre. Though, I do hear some nice atmospheric music coming out of the Room40 label. I feel that composing is a direct result of improvisation. Play, play, play. I would often feel that if you remembered it the next day, it was worth remembering. I will make written notes of parts that feel good, and that may go along with other set segments. I suppose that you could consider my compositions of being in the moment. The space is the important thing. All sound inhabits space, even the no-sound. It is about the yearning for a release from the space. I try to work towards the sound of nothing from something. All of the arts mentioned as well as the crafty variety, i.e. woodwork, fabric, etc. are, for me, all of the same. There is a point of learning and of the stepping out and creating for yourself, not everyone has the desire to step out on their own. I have always thought of something that I would like, then went about creating, crafting it for myself. Suppose music is the same, I seek to entertain myself. Music can be a great forum for putting up personal views on politics and society in general. I feel that if these concerns work for an artist to work into their art, goodo. I do not have a real stand in my instrumental music for anything other than finding a personal flow. If other people get something from my music, again, good. I do not go into it with any message that I would like to share. I like that my music is championed as a passive listening experience. I have received comments that my music is great for helping people focus on their art/craft. I am listening to my music as I write this now. I know that Room40's publicity people have gotten me several interviews, as well as making sure that my music reaches the reviewers for their consideration. If a blog or such reaches out to me, I check them out and try to get them with the label, or I can deal on my own. Very important part of 'this business of music' is the PR company. Being a part of Etsy and Facebook, they both recommend ways to boost views, usually involving money. I sometimes feel that money is what gets the most done, can get depressing at times. I am very happy with how my music is coming out right now, primitive home studio and all. One of my favorite parts about it is the newness, even with my repeated listening. Not sure how much 'better' equipment would influence my process. I can always check it out, then ditch it if it only annoys me. 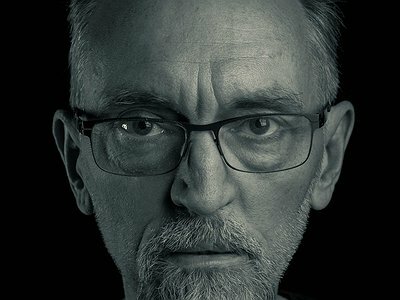 If you enjoyed this interview with Norman Westberg, you can find more information about him on his website. "I am still working on my patience. I am looking to emulate the ocean, or breeze, slowly shifting."